CINC is a lead acquisition and conversion platform for elite teams. "Commissions Inc - CINC Review"
I really dislike that it cost so darn much. If you are considering CINC, be prepared to put in the work to convert the leads that you generate. CINC isn't for people looking for NOW business because most of the leads generated don't start popping until somewhere around the 4th or 5th month. But, you will fill up your long term pipeline, and as long as you continue making the calls, the rewards can be quite lucrative. Like I mentioned before, be prepared to work because CINC requires "A LOT" of follow up via phone, text messaging, emails, etc.. But, as they say, fortune is in the follow up. I have been able to generate a good amount of leads each month using CINC. It's a bit pricey, but the functionality that the platform offers is amazing and definitely worth it. "Great for scaling real estate business"
What I like best about CINC is not necessarily the software itself but rather the team behind it. They are very flexible and very open to feedback. In my particular role, I also recruit agents for our team. Although CINC does have some functionality built for recruiting agents it is still not as robust as I would like it to be. Make the move! Definitely attend the training CINC U to become a master of the product. As a business we are currently using CINC to help our real estate agents scale their business and manage their client databases. It also allows us to assign leads to different agents in our organization. "CINC Made Starting this Position So Easy!" How streamline and user friendly it is! It makes managing leads so easy. I feel like I know exactly what is going on with all of my leads and I’m less stressed and confused. I dislike some of the notification bugs. Other than that, I wouldn’t change anything! Definitely try this out if you’re working in real estate! It makes seeing all of the interactions you’ve had with clients in the past so easy, so you don’t have to remember little details, it’s all in the app! The option that you can have the leads come in via a pong system, or you can set up a round robin between all the sales staff! You can turn these features on and off easily! When using the phone app, sometimes the notes dont load as fast as the computer. We have run into sales staff calling the same lead based on the notes not loading. Increase in Gross Commision Income year after year. We've had the site for about 8 years. 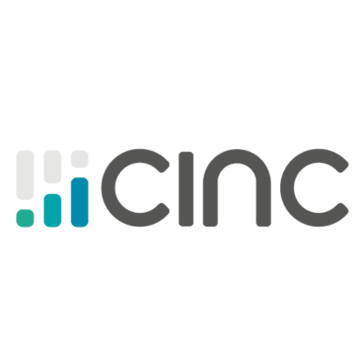 "Best CRM I’ve ever used "
CINC makes everything I do when making calls to clients so much easier. The labels, tags, pipeline, filters and reminders make my work so much more organized and efficient. I do not like that there are some ways I cannot filter or take some mass actions. I call over 100 leads a day and CINC has made my life more efficient but allowing me to quickly call those I need to reach. The biggest benefit is filtering by who I need to call today, it’s completely mindless for me. User interface is very easy to maneuver through. Easily customizable for our needs. Report functions are great. Really like how invoice images can be uploaded. Works great for reviewing homeowner information and homeowner association information. Really the only thing that I could say that I dislike is that the system logs you out too quickly if your are inactive for a certain amount of time. Obviously this is for security reasons. Other than that I have not found much to complain about. We use CINC for accounting of HOA that we manage. Accounts receivable, GL, budgets, sign-in sheets, delinquencies, vendor information. Understand the CINC can also be used for work orders and also violation, but do not currently use it for these functions. "Clumsy, old system with many restrictions on your data. " website is good, lead capture is good . support staff at basic level great. Everything else. They are a company stuck on legal stuff and regulation first and then second on helping you grow your business. Buy another site - NOT this one. They'lll keep your domain if you leave or ask them to transfer. They'll block certain activities of follow up with certain leads. I spoke to their CEO. It was so ludicrous, I hung up on him. This system is probably about 5 years ahead in theory and because of their bureaucracy it's 10 years behind. I regret buying it. "Cinc is an encouraging and easy crm"
Manageable followthru templates that I am able to customize for my clients exist. Sometimes if my other team members at working in it some duplication occurs. I love the many ways to organize my leads and filter through them. I also love being able to see how my leads are interacting with the linked home search site. Website seems really heavy and takes time to load sometimes. The accompanying app doesn't do enough.. I'm able to effectively keep up with my customers exact requests and anticipate their needs based on their activity on my site. Its interface is extremely user friendly. It's simple & easier to find/do what you are looking to do. There are some functionalities that don't exist that would be nice to have. Its extremely simple to do basic lead management, follow up, etc. Its supported our eTeam and our ISA team for months just fine. I don't like how you can't change the email parameters. Every time I get an email regarding new clients it always goes into the junk folder. 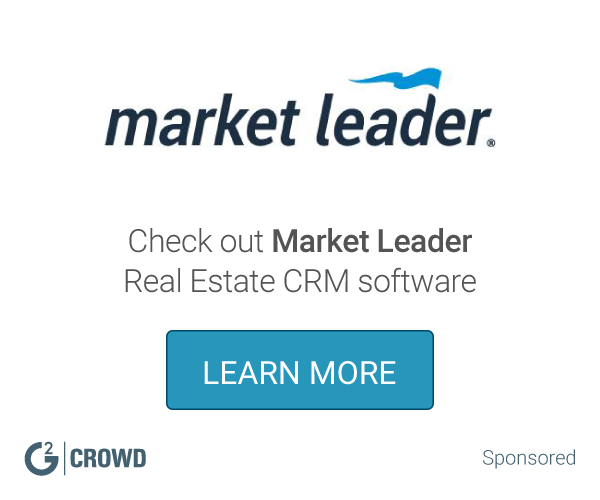 Best CRM and real estate marketing platform. It's easy to use and analytics are great! Expensive, but worth every penny. Not as easy to navigate as some platforms. "The most helpful part of my job"
The checklists have helped us maintain accountability throughout our transaction. It is also nice to have our leads' contact information available in a secure database. If everybody uses it correctly, this becomes the most helpful tool! * We monitor all CINC reviews to prevent fraudulent reviews and keep review quality high. We do not post reviews by company employees or direct competitors. Validated reviews require the user to submit a screenshot of the product containing their user ID, in order to verify a user is an actual user of the product. Hi there! Are you looking to implement a solution like CINC?